Here's another podcast featuring content from the recent 2016 Taylor Colloquium. This time it's highlights from each of the three keynote addresses. That is, about fifteen minutes of the talks are provided in this show. You'll hear Diana Glyer first as she talks about the process of writing and how Lewis and Tolkien often differed. 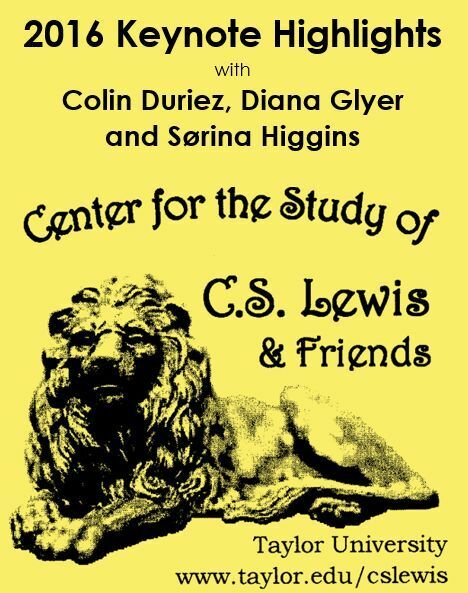 Next is Sornia Higgins' presentation on the life of Charles Williams and finally, the last third of this podcast comes from Colin Duriez's speech on the critical friendship of Lewis and Owen Barfield. Please note that the last talk by Colin is more difficult to understand, as the place it was recorded in was different than the others and it turned out worse than expected.